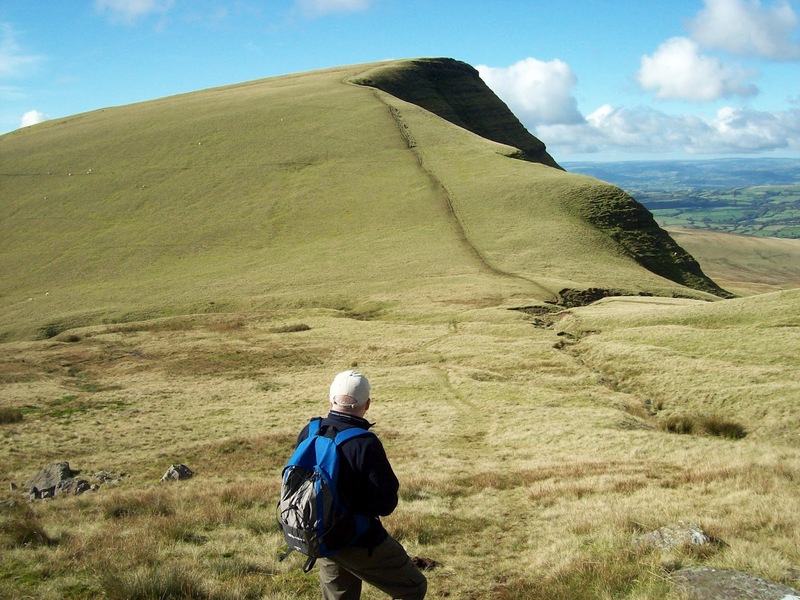 The weather for the week had been mixed to say the least, but Saturday was looking glorious and so a plan was hatched to take my neighbour, Paul, on his first outing to Carmarthen Fans. Just before bed on Friday I had a last look at the weather and it was still showing lots of yellow suns. We arrived at the car park just below the filter beds and hatchery to find two other cars in place. I briefly explained the legend of the Lady of the Lake and Paul thought the illustration on the interpretation panel looked a lot like Nigella. No wonder the farm lad thought he was in luck! On the track up we met some folks coming down and could only assume they must have had a night on the hill. 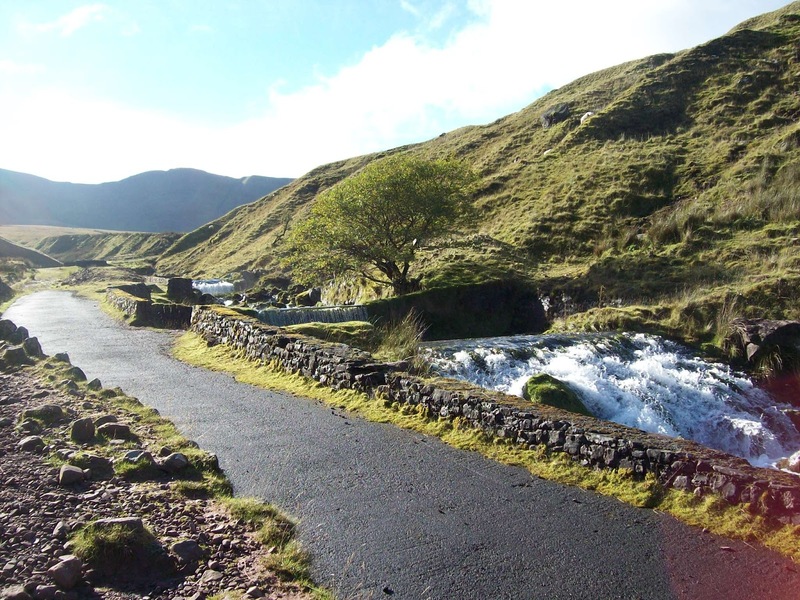 The stream on the lright of the path was full and flowing well over the falls. 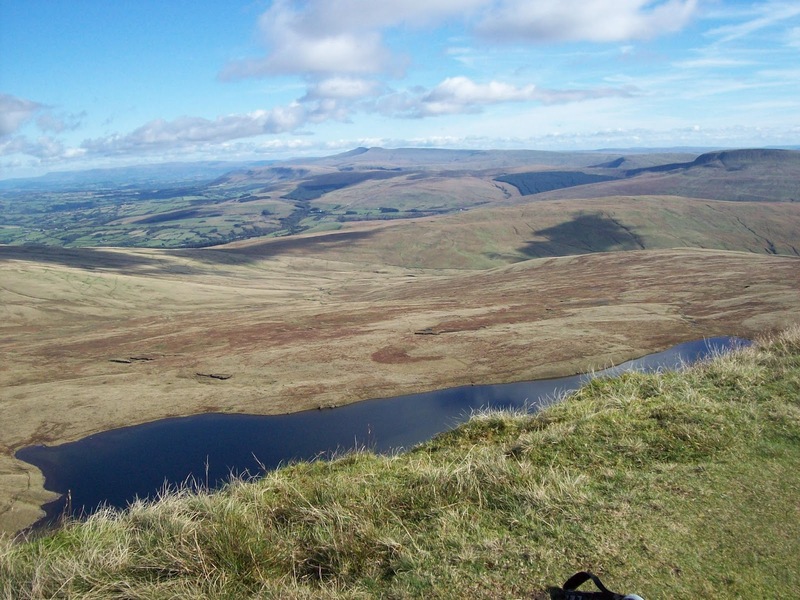 At the lake we had elevenses and then set off up the path to the first summit of Waun Lefrith with views down to Llyn Y Fan Fach and the hills beyond. 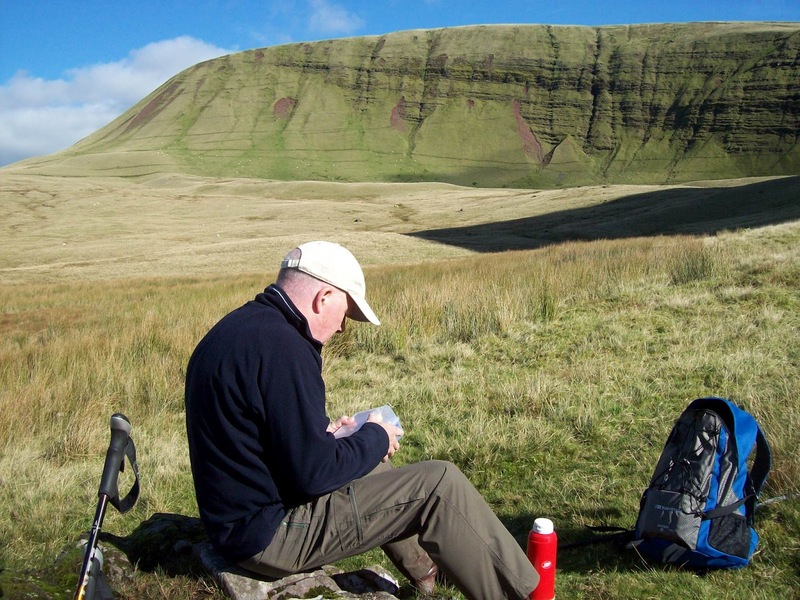 Then on to Picws Du.There was then a steep downhill to the bwlch where we had lunch in the sun. Refreshed we took the direct route up to Fan Brycheiniog and had a look around the the circular cairn which in windy conditions is a god send. 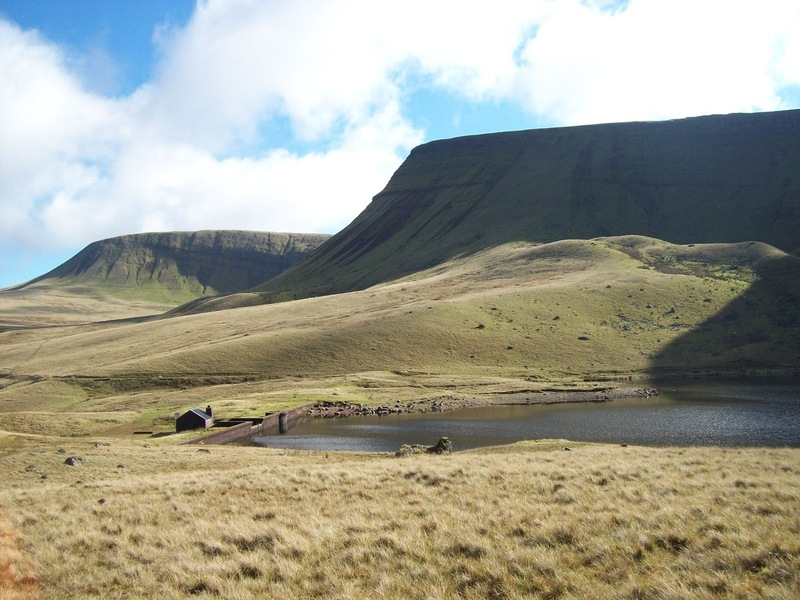 Down below was Llyn y Fan Fawr. 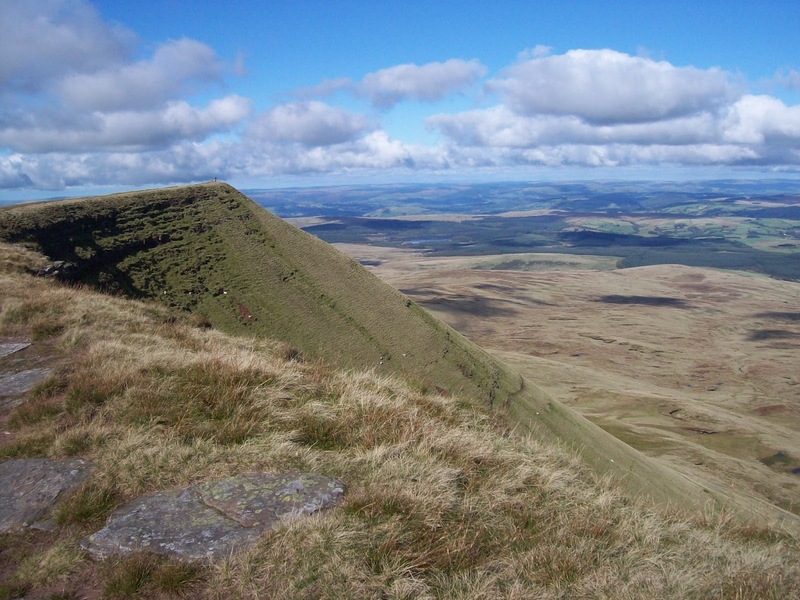 We now headed back but stuck to the edge and visited Fan Foel. The path back down to the bwlch has now been engineered and probably better than the rutted track which had previously been there. At the bwlch we took the zig zag track which leads one below Picws Du and across the moor back to the car. We stopped en route for a cuppa. 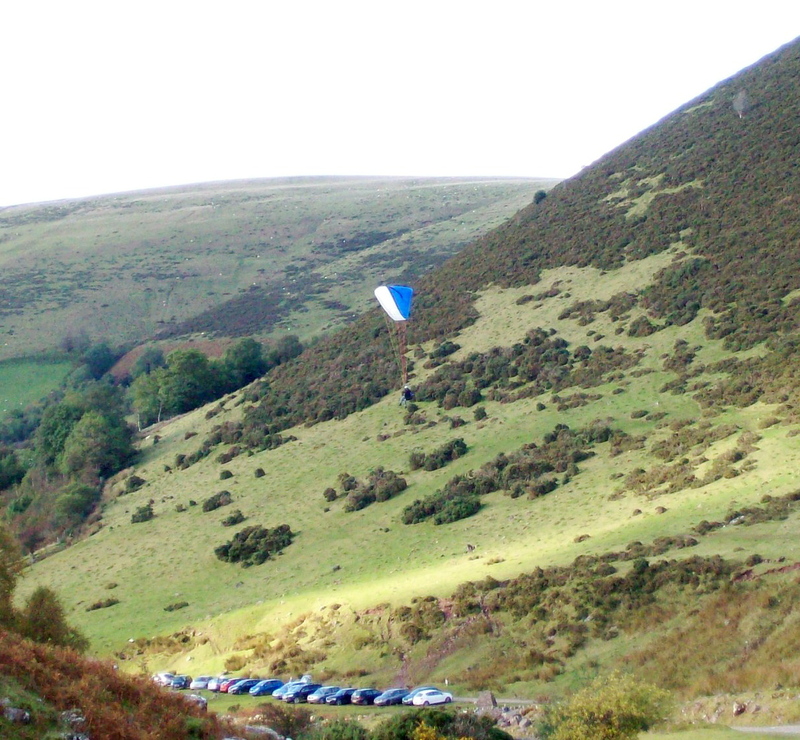 Looking back at the hills we saw a para glider heading our way and he landed back at our car park which was now full. The farm, Blaenau which is just down the road from the car parking area has a cafe and I believe only open at weekends and looks very inviting, but we passed. A good way to start October. Hopefully I will be just as lucky a little later in the month when “The Navigator” and I head for the Lake District.